At MacDougall, we work with you to find the solution for all of your plumbing and mechanical needs. 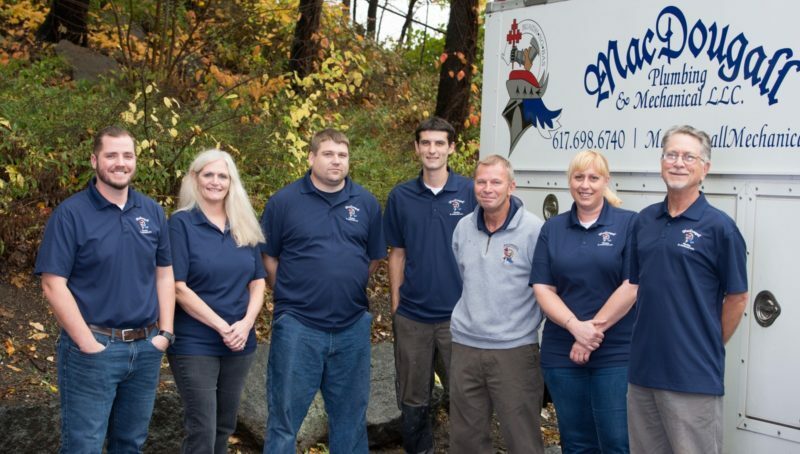 For over 30 years we have provided homes and businesses throughout Greater Boston with the highest quality service and craftsmanship. Passionate and dedicated to the trade, our fully-licensed team is always on the cutting edge of the newest technology and energy-efficient products available. After spending years training in high-end residential construction and service, Paul MacDougall Sr. started MacDougall Plumbing and Mechanical in 1988, specializing in difficult remodel and service projects. The company quickly became a family business, with sons Mark and Paul Jr. tagging along on service calls from a young age. The boys continued to work on weekends and school breaks before joining the company full-time. Mark and Paul Jr. were able to grow the business exponentially by taking on larger, more complicated projects and offering additional services like sheet metal fabrication and installation. 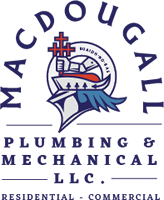 Today, MacDougall Plumbing and Mechanical has a team of over 25 Field Technicians and a fleet of over 15 service vehicles in the field and the ability to offer the full spectrum of plumbing, heating and cooling design, installation and service to their customers. We are always looking to work with new firms. Contact us to find out how MacDougall can help get your project done effectively and on-schedule.